Becky Blair’s lively and eclectic style, combined with her vivid use of colour and dream-like reflections, has seen her highly-sought-after work sold through exhibitions and private commissions internationally. 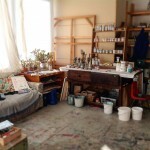 Her paintings evolve through a complex layering of glazes, textures, drawing and printing. Her compositions are formed from pools of overlapping colour, and the use of negative space, adding and taking away elements to create a surface that has its own history. Known as an artist who sees the beauty in things which may otherwise seem ordinary, she draws inspiration from the everyday, as well as her travels through India, Australia and Europe. 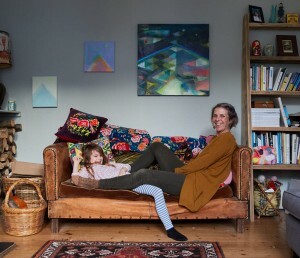 Becky made a home in Brighton in 1997 after spending her twenties travelling, and undertaking regular commissions for the Pizza Express chain. This allowed her time to grow as an artist, and be inspired by the wonders of India, Nepal, South East Asia and Australia. Trekking through the Himalayas, riding pillion on an Enfield Bullet from Southern India to Katmandu were some of her many adventures. And along the way making friends that were to shape her future as an artist in later years. Meeting Cat Read, a design publicist in a guesthouse in Nepal was the beginning of a long love affair with Western Australia. Cat proposed in return for a painting, she would secure a gallery and generate the publicity required for a solo exhibition in Perth, WA. Becky’s first show with the Gadfly Gallery was a huge undertaking and a steep learning curve, but ultimately a huge success. Becky has now undertaken 6 sell out solo shows over the past 10 years and has a loyal following that relish her vibrant, and unique style. When traveling, Becky’s interest lies in the sights and scenarios that reveal a true sense of place. Her paintings reflect the experience, rather than the visage, allowing viewers to share in the moment. In some images, one can note a suggestion of indigenous motifs but it is rather an appreciation than appropriation as Blair celebrates all subjects with her unique view. When she isn’t in Australia, Becky lives in Brighton with her husband and daughter. 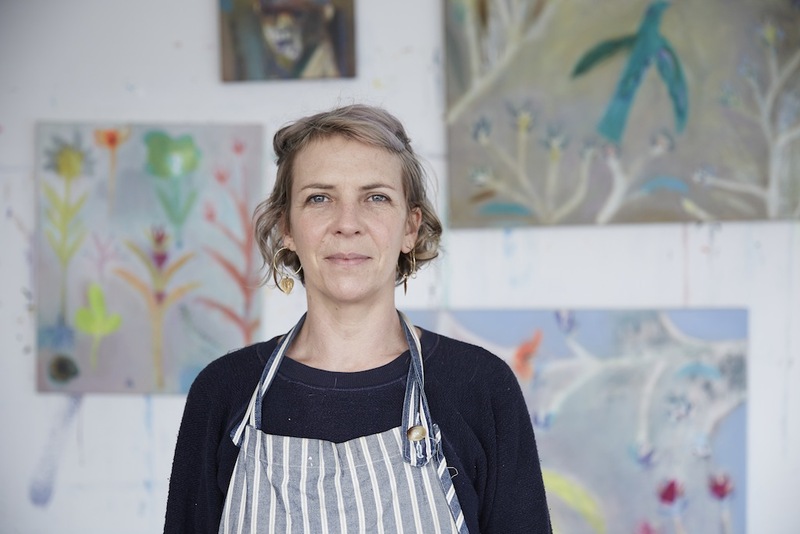 Working out of her studio at the Phoenix, she creates work for galleries throughout the UK, and is commissioned by collectors worldwide. She is represented by FourWalls at art fairs in London.